Can't Live Without It Giveaway! Oh weekend, you are so, so close. This week flew by....and by flew by, I obviously mean the days slipped past and I still haven't finished doing that same load of laundry. With the weekend just hours away, that means that it's time for another Can't Live Without Post! This Can't Live Without It is way more fun than all of the rest. Because there's a Give Away! If you are sweet little readers and look at all of my "I'm obviously not a fashion blogger" photos, then I will reward your diligence with a Give Away. If you follow me on Instagram, it shouldn't come as a surprise that I'm finally blogging this necklace from Laura Cox Designs. I basically wear it non-stop. Laura is a local blogger here in Greenville who whips up fab beaded necklaces on the side. When she Instagrammed this Horse Hair Tassel necklace I just had to have one for myself. And then I never took it off. Shopping Small is important to me (duh, it's also my job) and I just love a handcrafted statement piece. Laura's shop is full of pieces that are perfectly priced and perfectly on trend for summer (like this layering necklace!). I loved mine so much that I quickly snatched up another to give as a gift - and then had to force myself to hand it over to the recipient thanks to that fuchsia tassel.What can I say, I lose sight of the big picture when pink tassels and grey wooden beads are involved. Luckily for ya'll, I was able to sweet talk Laura into letting me brag about her Shop, give away a credit for a necklace of your choice from her current collection and share a coupon code! I mean, if that doesn't make for a happy Easter weekend, I don't know what will! To save 15% on your purchase for the next 7 days at Laura Cox Designs, simply enter the code NEWLYWEDSNORTH at checkout.....and to win a beauty of your own, enter below! The winner of the Give Away will close on Tuesday, April 7th and the winner will be announced on Wednesday, April 8th! And don't forget to follow Laura on Instagram, The Reedy Review and at Laura Cox Designs. The white and teal horse hair tassel necklace! Everything is great though - very hard to choose a fave. I love the white with pink and cobalt blue tassel! But man, they are all so cute! I think my tassel obsession is probably borderline unhealthy, so I absolutely adore this post! I am so happy that you shared about Laura's etsy - I'm currently checking it out! I think the pink tassel necklace is my favorite! You really can't go wrong with the pink/gold/white color combo! 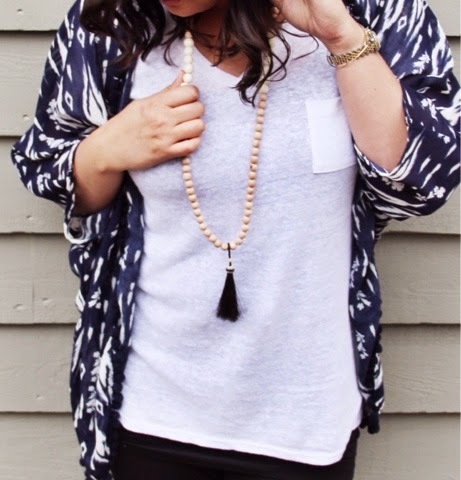 Love the coral tassel necklace!! Love the pink and grey! Love them all! And really great for a teething baby too? Cuteness! I love shopping small too. I am digging the yellow tassel one! I LOVE the necklace I have and certainly need another!!! There is just something about tassels that gets me every time! so cute!!! 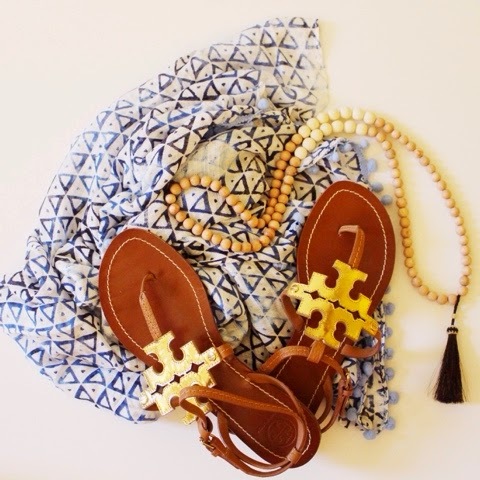 i love a pretty tassel these days! love love love!!!! Fingers crossed! I love the pink tassel necklace but also the necklaces with just plain beads. I would probably wear them more often. Love the coral tassel necklaces, so bright! Ohh so many fun ones to choose from!! Coral takes my vote, perfect for summer. Happy Friday pretty mama!! The fringe necklaces are fun. my fav is the coral tassel! I like the Beige and Gold Layering Necklace. Love, the bright coral tassel! Can't go wrong with coral! The hot pink with whites perfection!